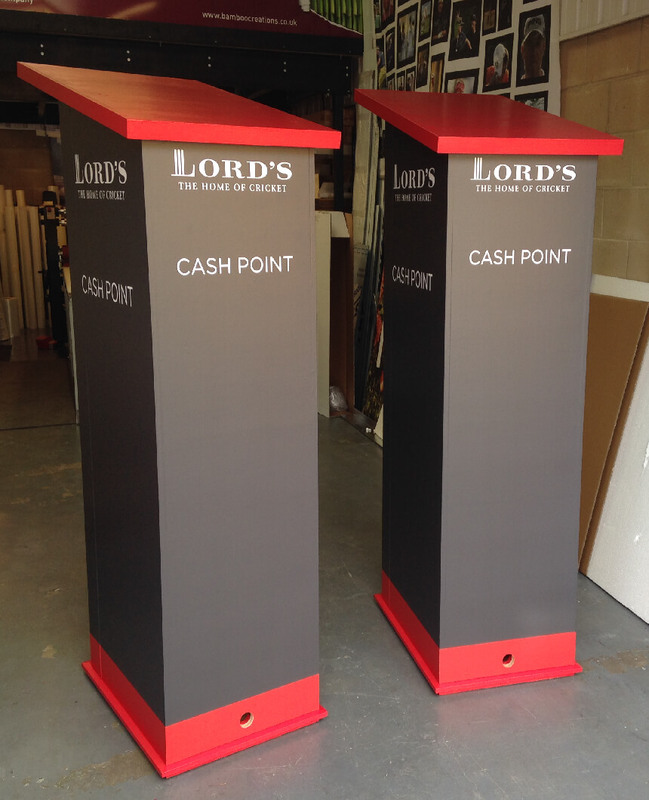 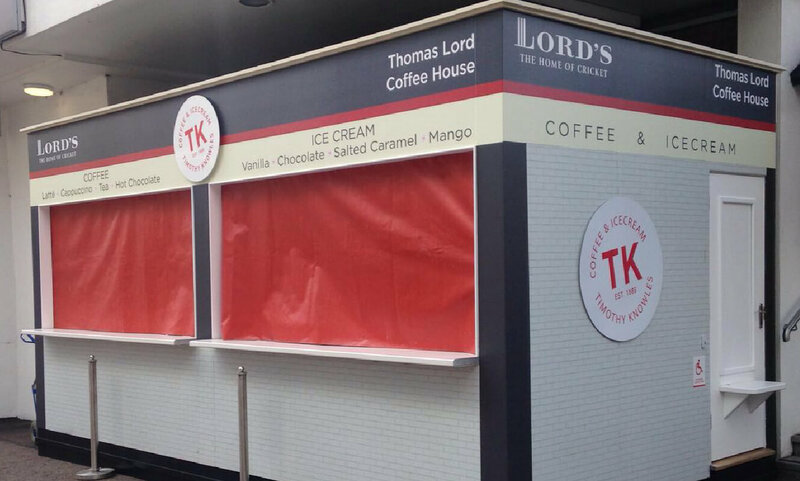 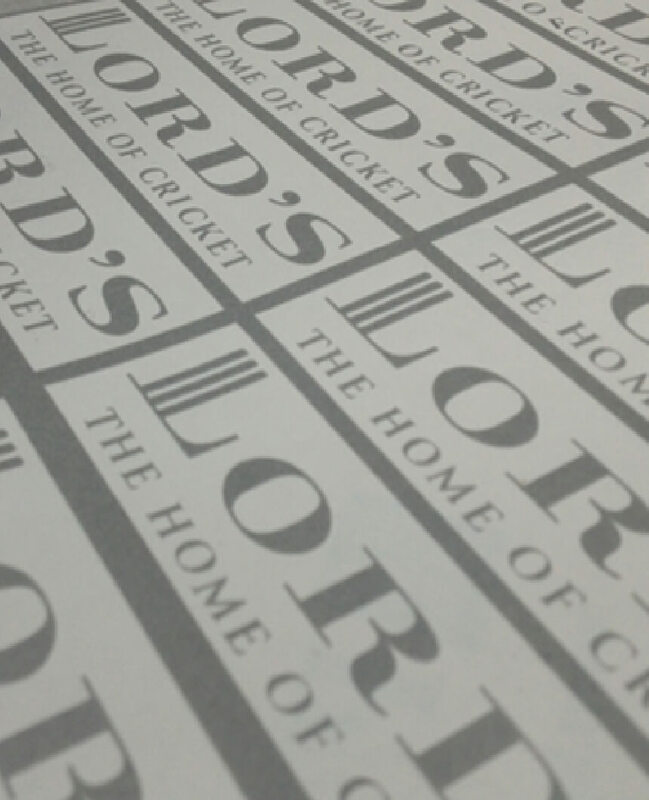 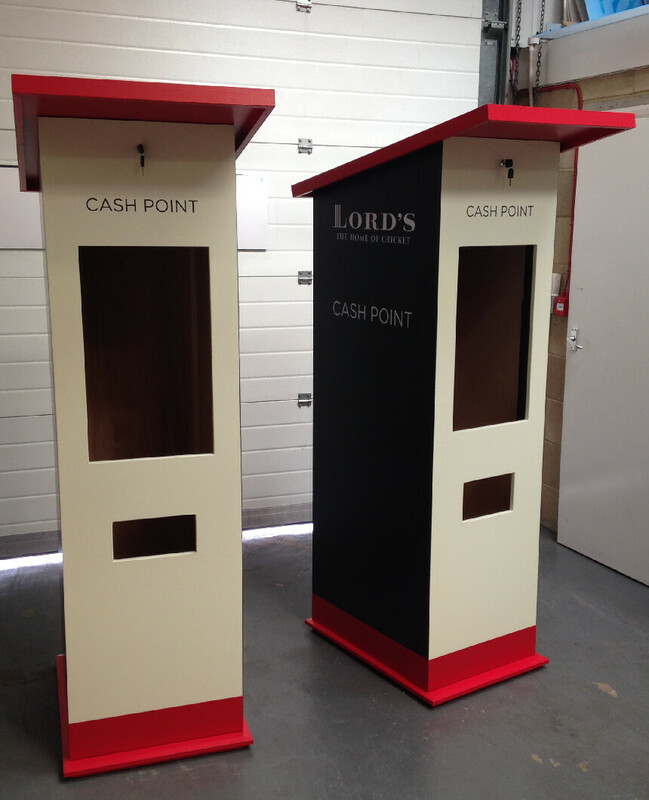 Working closely with our friends at Natural Green we have developed bespoke graphics solutions for the summer pop-up coffee bars, branded Lords cash machines. 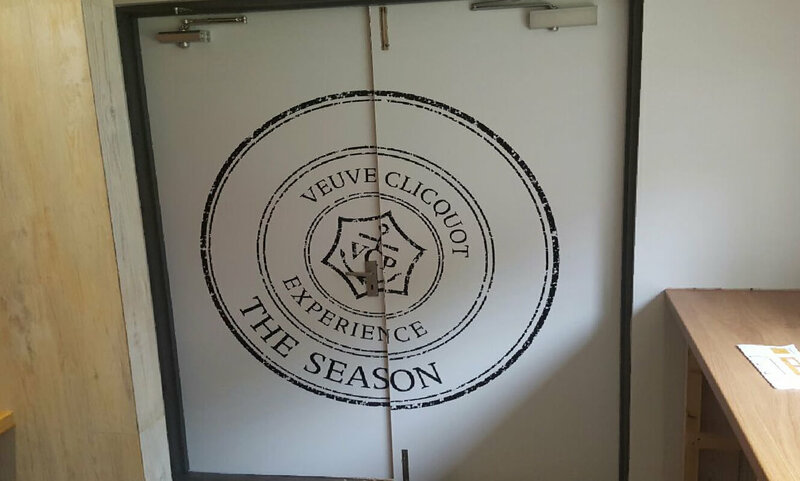 Last year the relationship extended to also include a fully wrapped container (inside and out!) 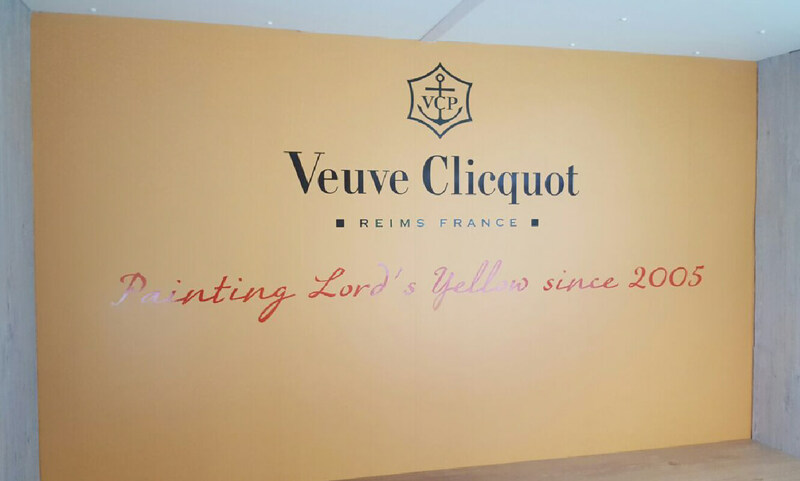 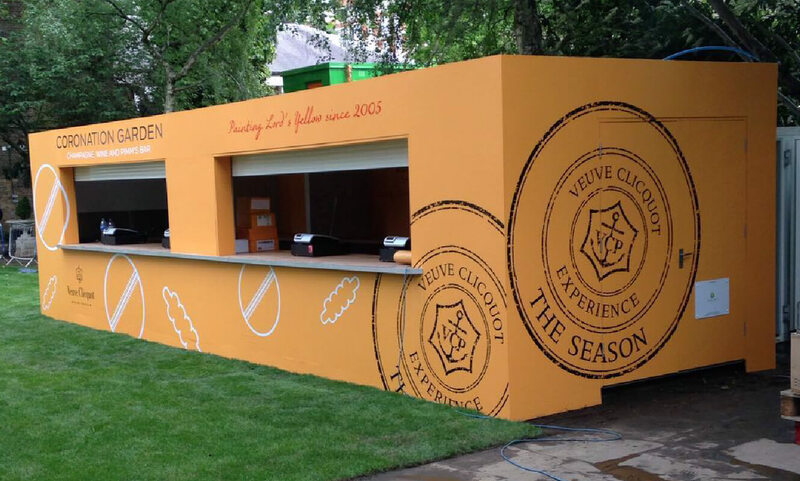 for the Verve Clicquot event and a range of bespoke graphic solutions for the permanent rebrand of the Sipsmith G&Tea bar, including custom made branded panels for the drainpipes!